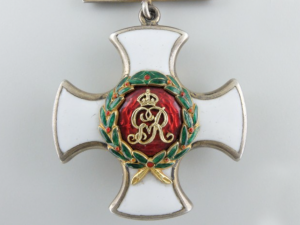 The Distinguished Service Order (DSO) was instituted by Queen Victoria on 6 September 1886 and was awarded to commissioned officers of the British Army, usually to those above the rank of major, who had rendered meritorious or distinguished service during war and had been Mentioned in Despatches.  Almost 9,000 were issued during World War One, with all awards being notified by The London Gazette accompanied by full citation.  Eligibility for the decoration was qualified as those who had served ‘under fire’ from 1 January 1917, after concerns were raised over the number of staff officers receiving the award in the opening years of the war. 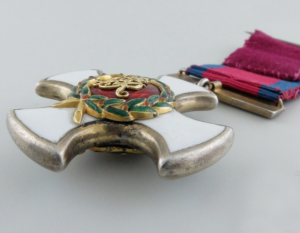 Originally cast in gold, by 1889 the DSO was being manufactured in silver gilt, and comprised a white enamelled cross with curved arms edged with gilt. 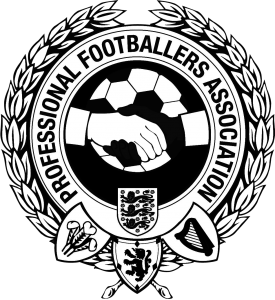 The centre shows a crown on a deep red medallion , encircled by a laurel wreath. The reverse also has the laurel wreath, around a red centre and crowned Royal Cypher. Suspension is from a straight bar, engraved with a stylised laurel spray. 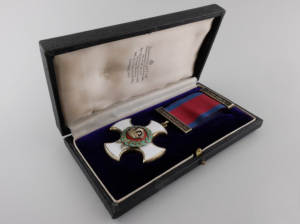 The ribbon is red, with 5mm blue edges, and hangs from a top brooch. 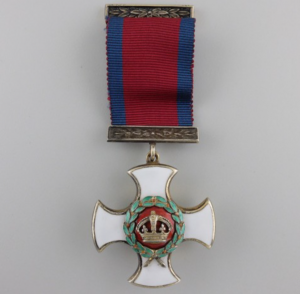 The medal was always issued unnamed and a Bar could also be awarded to recognise further acts of merit. 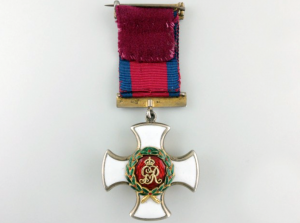 The medal was second only to the Victoria Cross in terms of prestige and holders were entitled to use the letters DSO after their name.